Soups are the best and healthy appetizers compared to the deep fried ones. Soups are not just appetizers, but also can be had for light dinners and lunch. Have one big bowl of soup along with bread toasts. 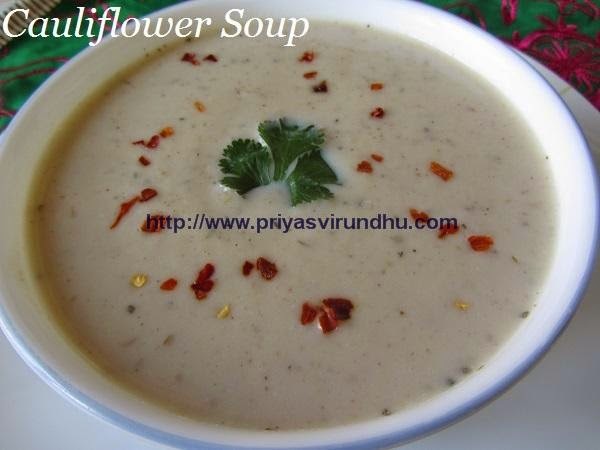 Today I am going to share a very flavorful, healthy and a filling cauliflower soup. 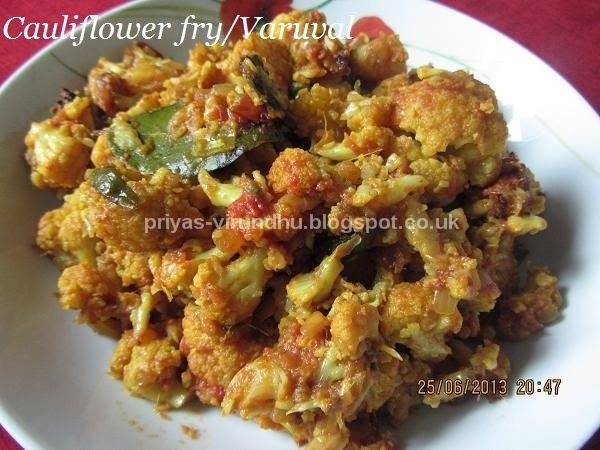 Gobi 65/Cauliflower 65 is a perfect evening snacks for kids, my kids just finish the whole batch after they come back from school. 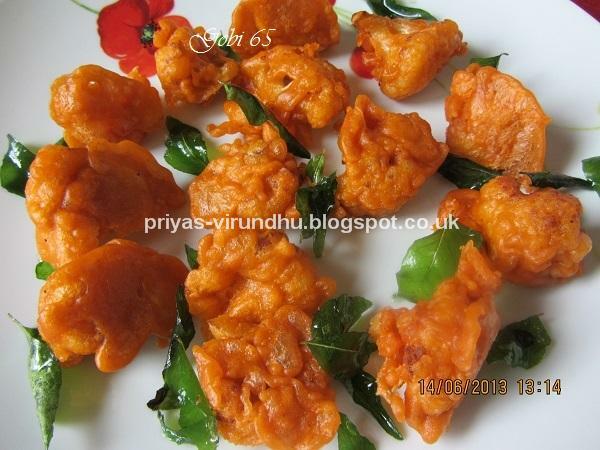 Usually I don’t add these many ingredients to make Gobi 65, it used to be very simple just corn flour, chilli power and yogurt. But recently I came across Gobi 65 –restaurant style in Aval vikatan which was quite interesting. But I made a few alterations by adding rice flour, ginger & garlic paste, black pepper powder to add more taste to it. It was just fantastic bursting with flavors, so I thought I will share it with you all.